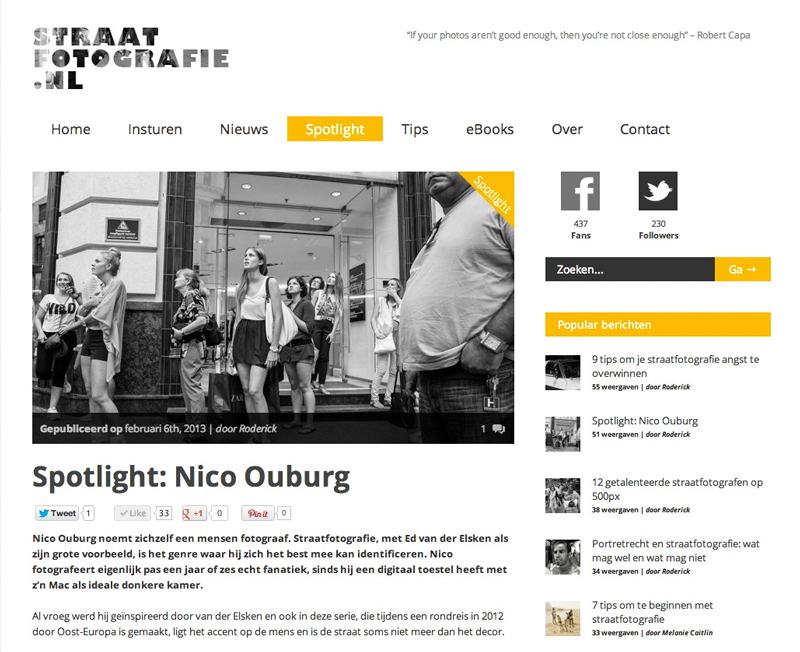 The Dutch site straatfotografie.nl in the Spotlight. This was in 2013 and the site has since been taken over by Fokko Mulder and completely renewed in content. There is therefore no active link any more.